2 images. 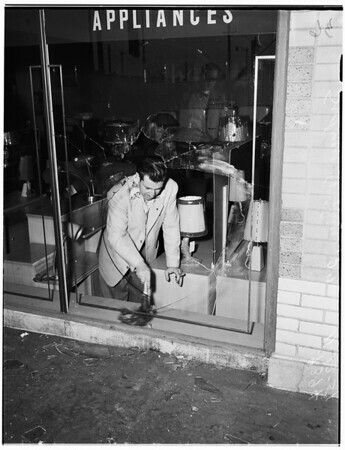 Safe Cracking at 3369 Whittier Boulevard, 13 November 1951. Sidney Wilner, 27, Store Manager.